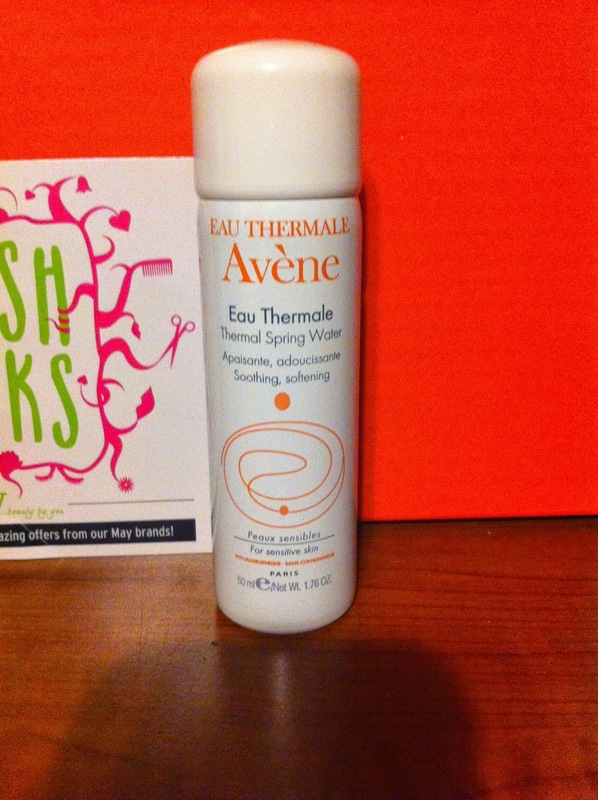 The first item I received was this bottle of Eau thermale Avene spring water. You are suppose to spray your face with it to freshen up, wake up, set make-up or whatever. I did give this a try but I was not impressed with the results. Or I should say that I didn't notice any changes after using it. You can pretty much put water in a spray bottle and squirt your face for the same effect. Maybe I'm not using it right or something but this is not something that really wowed me and I wouldn't purchase this product in the future.